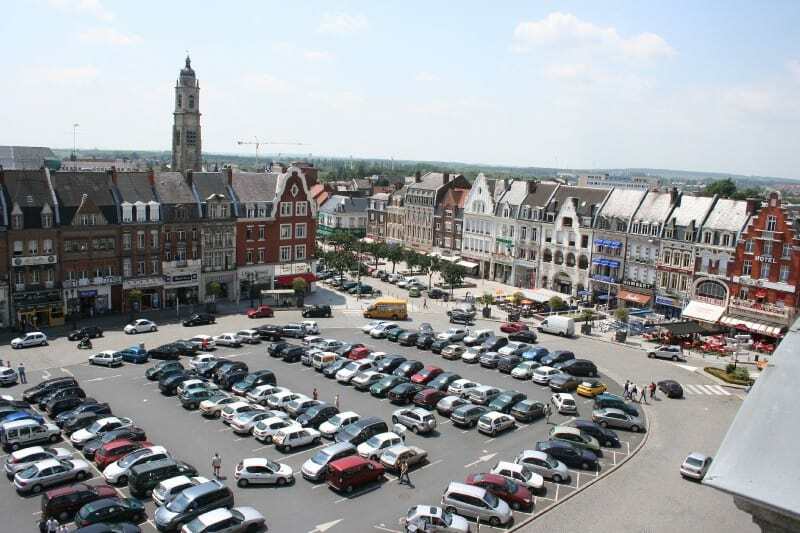 Known as “La Ville aux Trois Clochers”, the City with Three Steeples, Cambrai is a pretty, provincial town in the Nord Department. Although there’s no sign of the damage today, Cambrai was caught up in an immense battle in 1917, when tanks were deployed for the first time and a lot of the town was destroyed. In the 1920s the historic buildings were restored brick by brick, and monuments like the UNESCO-listed belfry, old gates and decorative churches are as stunning as ever. 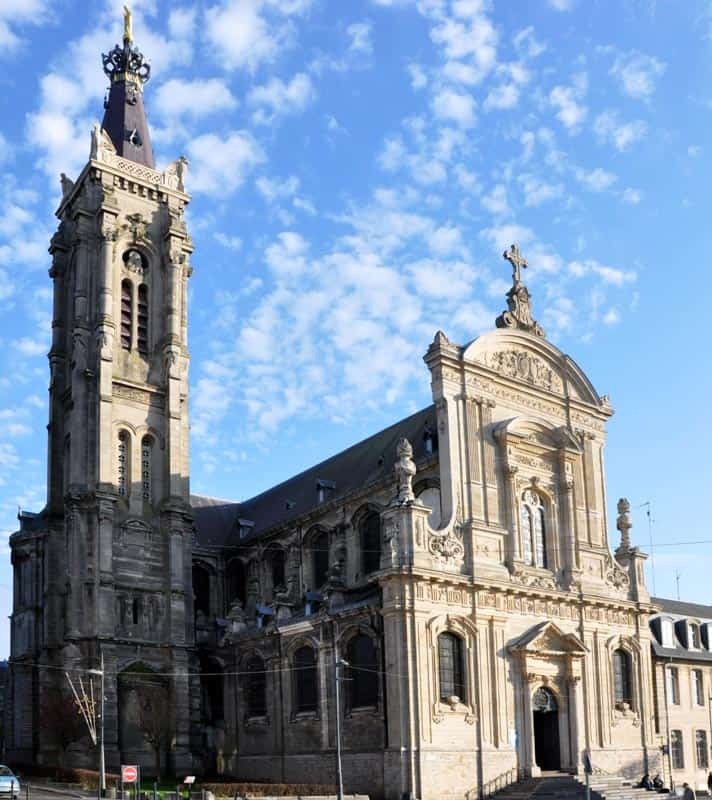 The religious heritage in Cambrai is especially rich, as the town was the seat of a powerful archdiocese. So peek inside the churches and you’ll see medieval icons and a glorious painting by Rubens. 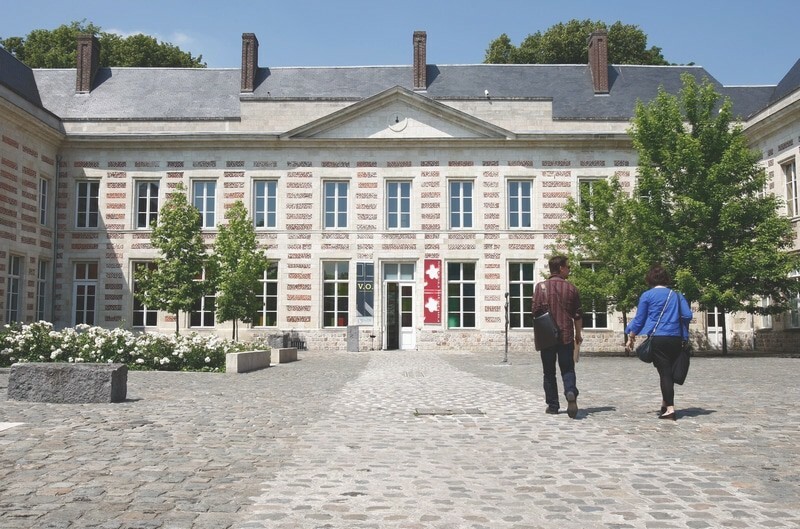 Housed in a stately 18th-century mansion, Cambrai’s museum has Dutch, French and Flemish art, and artefacts recording the town’s story. There are some big-hitting artists here, like Hyacinthe Rigaud, Boudin and Ingres, and the historical wing has an osteoarchaeology gallery that is almost unique in France. One piece with a really interesting past is the 17th-century plan relief of Cambrai (3D map). This was taken to Berlin during the Franco-Prussian War in 1870 and remained there until 1948, suffering almost irreparable damage in the Second World War. But photographs and old sketches made it possible to make a complete restoration in 1994. The current style of this magnificent church is a blend of Dutch Baroque and French Classicism, but the building has been evolving form more than a thousand years. In fact it stems from a church founded way back in the 500s, so is by far the oldest in the town. There’s much to pore over inside: At the crossing of the transept, tilt your head back to see the blue stone canopy, which is without equal in France. There’s also a polychrome marble rood screen (dividing the clergy from the masses) by Gaspard Marsy, who worked on the fountains at Versailles. And best of all is the painting of the Entombment by none other than Peter Paul Rubens. 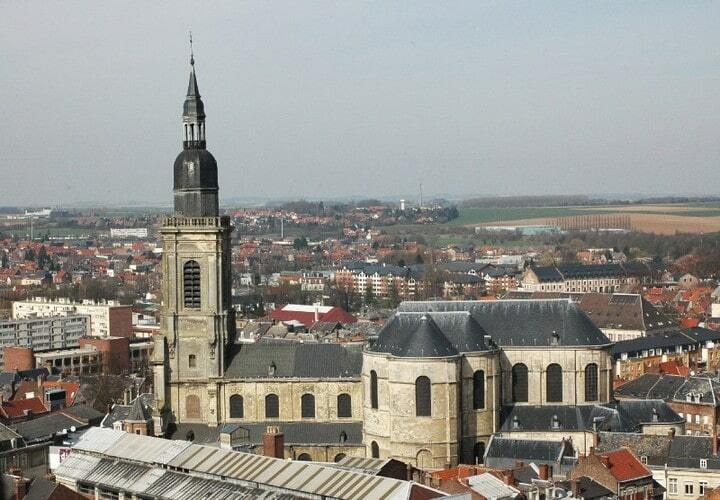 No city in this region would be complete without a medieval belfry, and these buildings in Northern France and Belgium have gained World Heritage status from UNESCO. 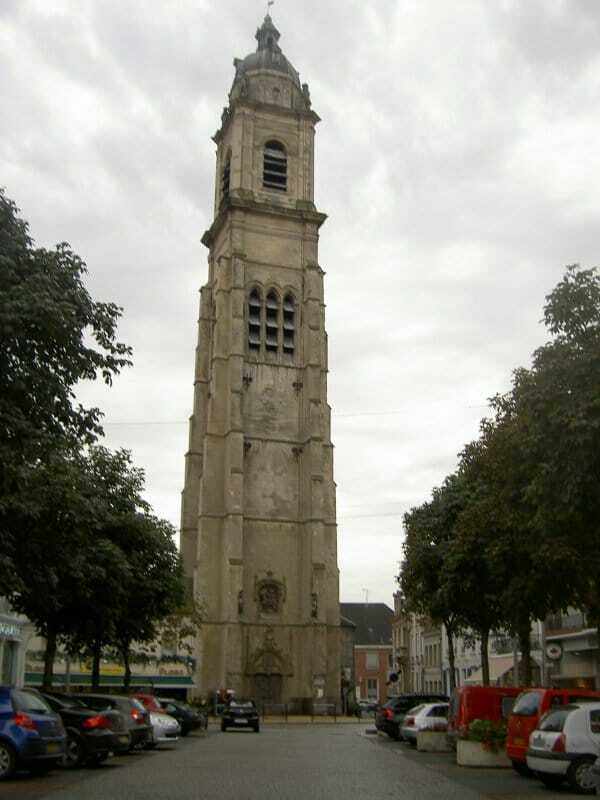 Cambrai’s belfry is a dominant 62.5-metre Gothic tower dating from the middle of the 15th century. It might be less ornate than others in the region, but is an enthralling piece of medieval heritage all the same. This was a watchtower, and its bells were tolled to inform of enemy attacks, fires or simply to mark every hour and half hour. This was a manual job right up to 1934 when the bells were finally electrified. The most impressive single chunk of the city’s old walls is this gate that controlled the southern entrance. The Porte de Paris was erected towards the end of the 14th century, after Cambrai had come under siege by the English in the Hundred Years’ War. There are a few things that make this structure worth a look: You can see where the drawbridge mechanism would have been, in the two slats above the portal. But also, the two curved towers above the passage reveal 16th-century modifications, as the upper levels were shorn away in the 1500s to create a lower profile and defend artillery attacks. 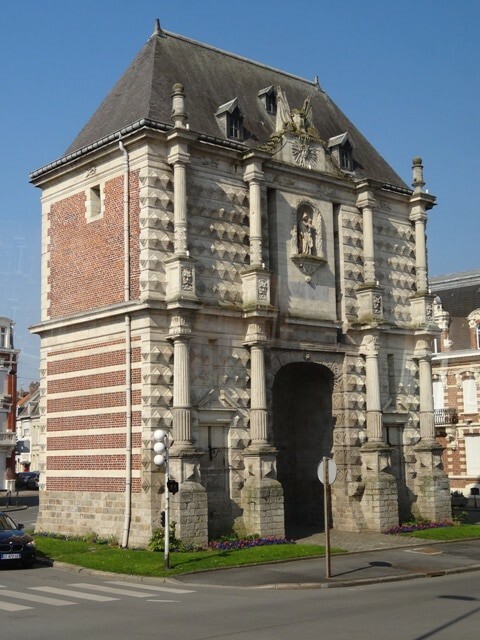 This 17th-century gate now stands alone on Boulevard Faidherbe to the north of old Cambrai. It was raised during the city’s Spanish period, and has a very decorative Baroque design. The facade is adorned with regimented pinnacles, Corinthian columns and an alcove with a sculpture of the Virgin and Child. The reason for all this decoration is because the gate became obsolete as a defence, after an outer ring of defences was built that century. There’s another fascinating detail to look out for on the pediment at the top of the structure, as you can see Louis XIV’s sun king insignia, added after the town was taken from the Spanish in 1677. If you’re sharp you can see the inside of another of Cambrai’s military installations. The citadel was ordered by Charles V to defend the city after the arrival of artillery. It was constructed on the highest part of the town, Mont-des-Boeufs, where a 6th-century monastery had been. 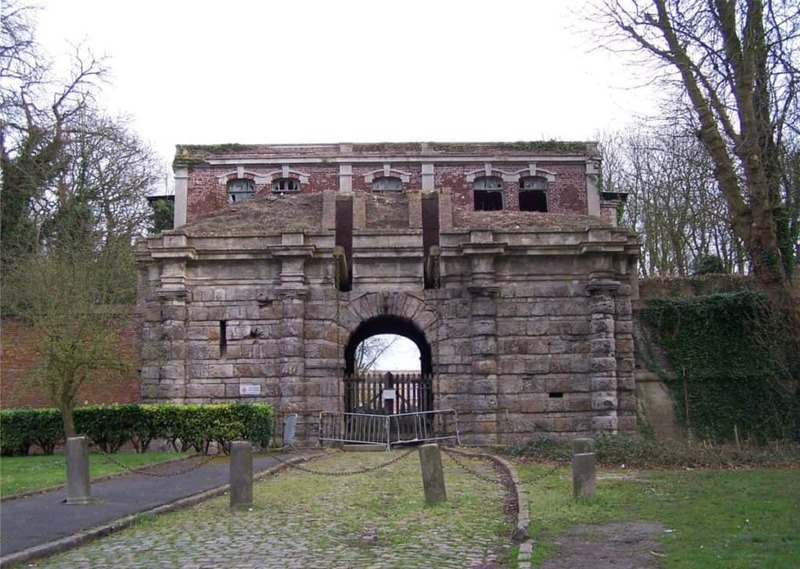 Although the building was decommissioned in the 19th century, a lot remains today, such as the Royal Gate, barracks from the 1800s and arsenal from the 1500s. But most intriguing of all are the tunnels dug to intercept mines by attackers, which you can visit with the tourist office every Saturday afternoon. There’s a good reason why Cambrai Cathedral doesn’t look much like the other great churches in Northern France. This is because it wasn’t actually declared the city’s cathedral until the beginning of the 19th century. The old Gothic cathedral had been razed during the Revolution, while this former abbey was converted into a Temple of Reason. 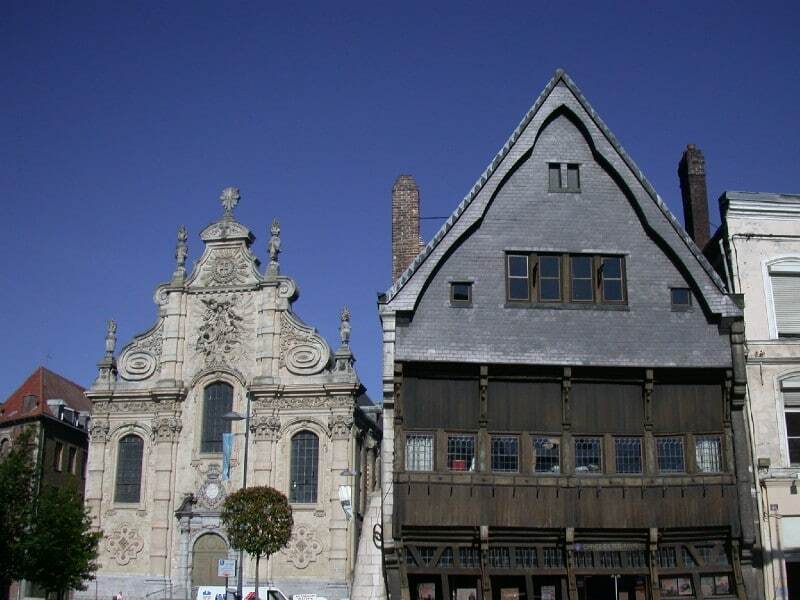 It dates to the turn of the 18th century and has Baroque architecture. Among the highlights inside is the funerary monument to François Fénelon, an influential archbishop in the reign of Louis XIV. Also, in a side chapel, see the Cambrai Madonna, an Italo-Byzantine replica of an “Eleusa Icon”, painted around 1340 in Tuscany. You wouldn’t know to see it, but this square was rebuilt almost from scratch after the First World War. The town hall goes right back to the 1300s, but the current Neoclassical facade is from the rule of Napoleon III in the middle of the 19th century. When you’re in the square see if you can spot the two automated bell-strikers in front of the cupola. They represent Moors, named Martin and Martine, and have been here since 1512. The couple are a symbol for Cambrai and there are all sorts of legends explaining how the town came to have a pair of Moorish bell-strikers. 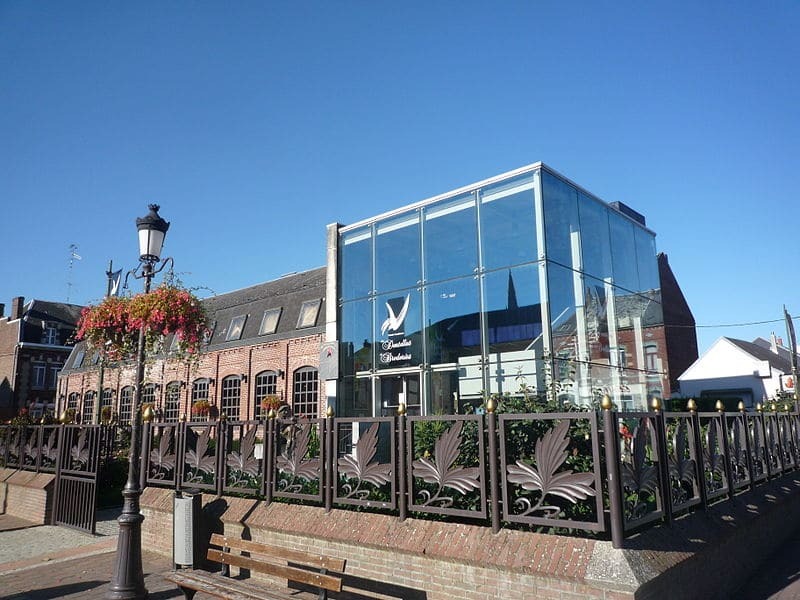 Cambrai couldn’t have chosen a lovelier home for its tourist office. The Maison Espagnole is one of the best-preserved and most beautiful historic houses in the town. But more than that it’s a vital document from the Spanish occupation of Cambrai in the 16th and 17th centuries. The house is from 1595 and is the last example of a building style that was once widespread in the town. Right away you’ll see the use of different materials, including limestone for the base and supporting wall, and timber for the upper storeys, while the top floor and gable are totally clad with dark slate. Head in to see the wooden carving that used to decorate the outside walls. Directly next to the Maison Espagnole is another monument that is as eye-catching as it is historically important. Immediately you’ll be awestruck by its rich ornamentation, with pilasters, spiral wings and a dramatic sculpture of the Madonna, and none of this is by accident. This astonishing Baroque chapel was founded in the 1670s by the Jesuits who had arrived in Cambrai to ward off Protestantism. So it’s one of the most striking pieces of Northern Baroque architecture, intended as a statement of the counterreformation. The excess continues inside where the choir and nave are covered in reliefs and there’s a series of ostentatious paintings depicting the life of Christ. If you’re in the town in mid-August you can get in touch with Cambrai’s traditions and community spirit at the annual festival. On the 15th there’s a parade in front of the town hall with “giants”, which are tall papier-mâché figures that were made as far back as the 18th century. These represent Martin and Martine, Cambrai’s famous Moorish bell-strikers, while the processions are followed up by a fireworks display. 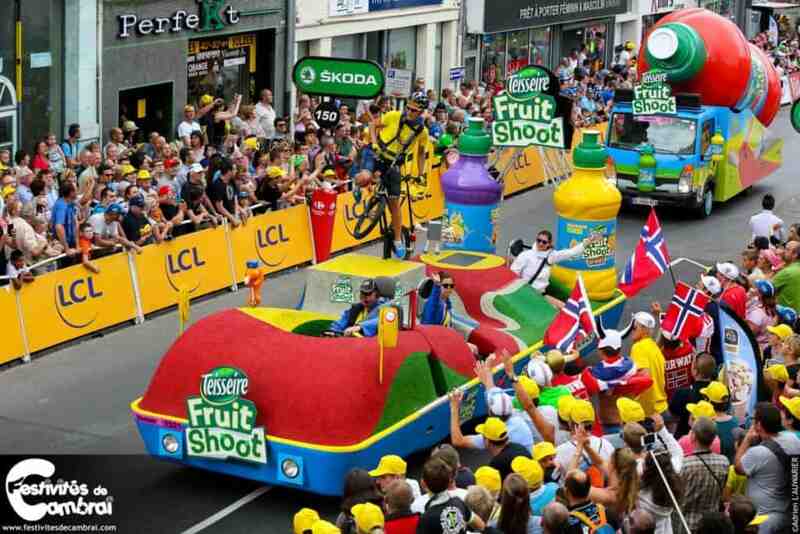 And for all ten days of the festival there are also some 200 fairground rides and sideshows set up on the main streets and squares in the centre of the city. One of the most influential artists of the last 100 years was born just down the road in Le Cateau. And in the 1950s Henri Matisse founded this museum that now contains France’s third largest collection of his art (170 works). Matisse was deeply involved in the planning, even instructing how his work should be hung. So if you even have a passing interest in modern art this museum needs to be a priority, especially as it’s so close to Cambrai. Along with Matisse’s works there are also 65 paintings by Auguste Herbin, four pieces by Fernand Léger and 30 photographs from the Henri-Cartier Bresson Collection. The lace industry in the nearby town of Caudry took off in the early 1800s, and is still going strong today. In fact lace-makers in the town have even produced gowns for Hillary Clinton and Michelle Obama. This museum in a converted factory will tell you all you need to know about knowhow and technology that go into this most traditional craft. There are video presentations, a mechanical loom from 1823 and perhaps best of all, an awesome collection of delicate dresses and fashion accessories from the 19th century to the present day. Another trade that dominated Northern France in days gone by was beer-making. And in Le Cateau-Cambrésis there’s a wonderful slice of this heritage officially recognised as a French “historic monument”. This site started out as a Benedictine abbey before being sold off as a national property after the Revolution. A wonderful brick brewery was built here in 1910, and was in business until 1926, after which the old monastery buildings and the brewhouse were used for storage. 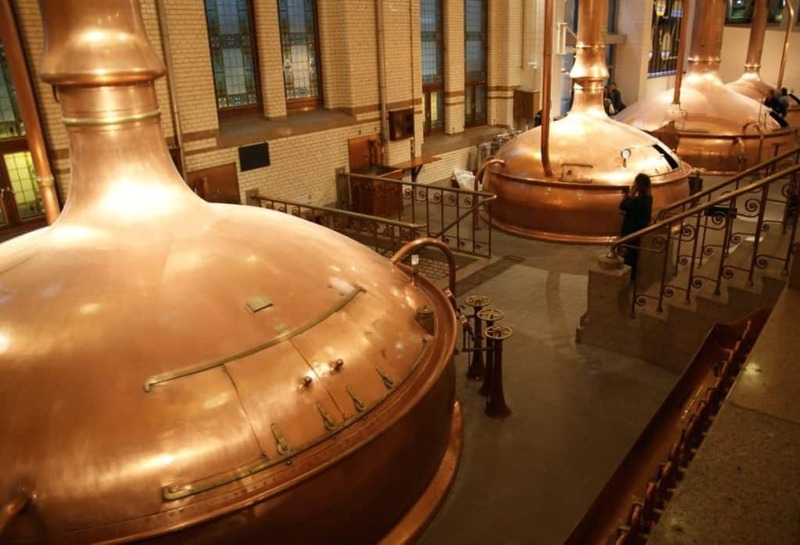 But in 2000 the whole factory was restored and began brewing beer once more. It’s now the flagship brewery for the Vivat brand, and you can to taste this beer, grab a meal and see the fabulous old machinery including a vintage steam engine. Carnivores will love what they find in Cambrai’s traditional brasseries: The two signature delicacies are very meaty, and perhaps not for the fainthearted. Andouilles are a charcuterie made with pretty much every part of the pig you can think of, encased in a cow’s intestine. And the raw version is the andouillette, which contains the innards of a calf and is then grilled and served with French fries. Both are more appetising than they sound! 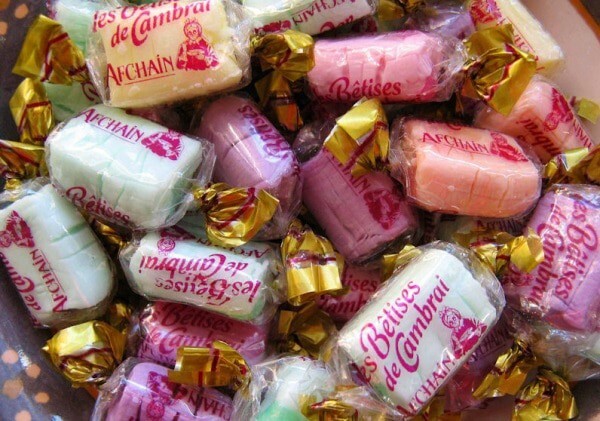 More gift-friendly are Bêtises de Cambrai, traditionally a striped mint candy but now sold in a variety of flavours like apple, raspberry, lemon and orange.